В первом номере журнала Moscow Defense Brief за 2017 год опубликовано интервью с директором "Завода специальных автомобилей" АО "Ремдизель" (Набережные Челны) Яковом Карповым. Наш блог публикует данное интервью в английской версии. Yakov Bronislavovich Karpov: born 1969, graduated from the Tupolev Aviation Institute in Kazan with a degree in Aircraft Engines Design. Served with the Engineering and Technical Troops of the Soviet Army. Began his career as a design engineer at the Era company in Zelenodolsk, then spent 10 years as Director of Technology at the Gorky Plant in Zelenodolsk. First deputy CEO for sales at STFK KAMAZ, a truck maker, in 2008-2013. Deputy CEO for logistics of KAMAZ Avtozapchast (KAMAZ Spare Parts) in 2011-2013. CEO of the Special Vehicles Company (Zavod Spetsialnykh Avtomobiley, ZSA) since 2013. What is the current situation at ZSA (Special Vehicles Company)? What are the main challenges facing the company? ZSA is a team of about 500 people, including manufacturing specialists, technologists, designers and engineers. Our work focuses on three main areas. We make series-produced vehicles under Ministry of Defense contracts; we make automotive hardware as part of R&D projects (i.e. prototypes, also under contracts with the MoD); and we make prototypes as part of independent R&D projects initiated by our own company. Бронированный унифицированный автомобиль 8х8 K-53958 "Торнадо" в цехе предприятия "Завод специальных автомобилей" АО "Ремдизель", 2017 год (с) АО "Ремдизель"
All three areas represent a large amount of work; they were prioritized back when ZSA was established in 2013. The purpose of establishing ZSA was precisely to have a separate company with a new approach to developing new models and implementing new technologies. We are using innovative approaches to metal processing and welding; we also pursue innovations in ceramic armor. Of course, the company is still in the process of completion - we are still building our team, putting together a portfolio of contracts, etc. In 2013 we synchronized the process of R&D with the manufacture of hardware for our customers. This has enabled us not just to pursue R&D projects but actually to make money. In 2016 our output under MoD contracts stood at about 3 billion roubles. One of our priorities is developing a family of vehicles that offer protection from ballistic weapons impact, land mines, etc. This is one of our R&D cornerstones. We have approximately 50,000 sq.m. of shop floor dedicated to these programs. When you were drawing up your R&D roadmap, did you always have an eye on the export market? This is of course one of our country’s priorities in developing various vehicles, and we are no exception in that regard. Our contracts with the Russian MoD and law-enforcement/security agencies give us a chance to field-test our hardware in Russia itself, but we have always thought of the possibility of attracting foreign customers, and we work closely with Rosoboronexport to give them a sense of where we are going, right from the early R&D stages. They give us their feedback and observations in terms of what our potential foreign customers might think of our various future products. So, Rosoboronexpot has been giving you marketing advice? We have held meetings with them in Moscow and here in Naberezhnye Chelny. We used those meetings to demonstrate our roadmap for the next few years. During the early stages, we showed them computer renderings of the product families we would like to develop. We told them about our cooperation with our customers (the Russian MoD and several large defense contractors). I think we chose the right tactics, and we continue to make progress in that direction. It is no secret that some Russian weapons systems were developed specifically for foreign customers. Does ZSA have any products that were developed specifically for export, rather than under domestic contracts? Not as such, no. We have taken into account the recommendations we have received from Rosoboronexport, and we are making efforts to implement them so as to have something to offer to potential foreign customers – but that work is still in progress. Have there been any negotiations with potential foreign customers? Yes, we have had talks at the Army 2016 forum, and these talks are still ongoing. 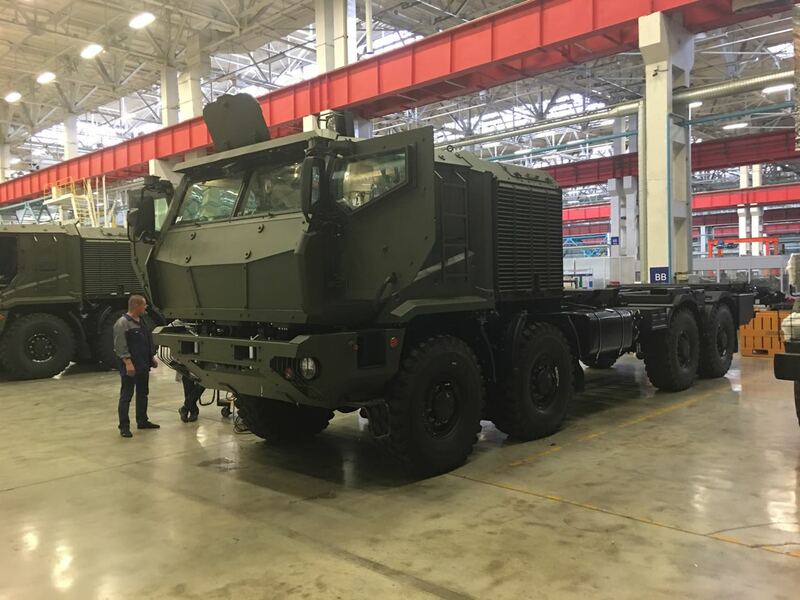 Furthermore, the delegations and customers that visit the neighboring PAO KAMAZ facilities for talks on their products that are already in mass production also show interest in the projects being pursued by other companies in the area – projects that are different from the standard KAMAZ product range. We hold regular meetings and demonstrations; we are making steady progress and laying the ground for future contracts. Would it be safe to say that the K-63969 unibody armored vehicle was developed specially for exports? The K-63969 was developed as part of an R&D project with the Russian MoD. We aimed to produce something that could rival the best foreign models, and you can see that just by looking at that vehicle. We are, however, also aiming for the export market with that product. But for the time being, our company has not secured any foreign contracts, even for the K-43269 Vystrel MRAP vehicle. But in theory, could the K-63968 Taifun modular MRAP vehicle be suitable for exports? In theory, everything is possible, but in practice it will depend on our ability to conduct successful negotiations with the customers and to implement their wishes. As a basic platform, this product certainly has export potential – but not in its current shape; some changes and improvements will be required. We already have an MoD contract for that vehicle, and deliveries are being made to the Armed Forces. It is operated in various parts of the county, and in various roles. We still need to make some specific improvements for individual customers. But this vehicle is our flagship product, followed by the K-43269 Vystrel, which we are now resurrecting by launching production of armored bodies for that vehicle and making various improvements, including those related to manufacturing technology. This may enable us to reduce the price of that product and make it more affordable. We are even exploring export opportunities for it. Can you build a vehicle for a foreign customer to their own specifications? Of course, but we will have to see how different those specs are from the product range we have already developed or are currently developing. A completely new model will have a completely different price tag. In theory, the product range we already have encompasses a broad segment of the market in terms of tonnage (from one or two to 30 and even 100 tonnes), personnel carrying capacity, level of protection, and various functionality. Who do you regard as your main competitors in the global market? It is hard to say. I will be honest with you: we are a newcomer to that market. We are still positioning ourselves as a new player. We are showing our wares, we take part in exhibitions. For the time being, our main rival is time – because we have to make a lot of progress very quickly and to begin dialogue with our potential customers as soon as possible. Do you have any clear domestic rivals? The market for MRAP vehicles is very complex. All the Russian suppliers that work for the MoD offer vehicles with similar characteristics. But we believe they are quite different in terms of the approach to their design. Our philosophy is that protection does not just boil down to steel; protection means a whole range of measures and design solutions. We are not just talking about steel or ceramic armor. We are also talking about floating floors, mine protection strapped to the sides, etc. We have a very meticulous approach to designing and testing our products. It was important for us to move beyond the existing national standards and requirements for testing our vehicles; we believe those standards are obsolete because they don’t allow for a “digital” assessment of test results. We were one of the first companies to use dummies during tests, and the MoD has agreed with us on that point. Later on, we found out that similar dummies were procured for the testing ranges that were used for our own tests. How is your company implementing import substitution measures? Are there any difficulties in that regard? Import substitution as a process has always been ongoing, and it will continue. We always have the incentive to localize new products and technologies. Ever since our company was established, we have been making rapid and visible progress. Back in 2013 we were mostly just assembling our vehicles from large components made elsewhere. But every year we gain new capabilities and competencies, and we are also working with our partners in Russia, who can offer opportunities in terms of substituting imported technology with similar or even better Russian technology. In that sense, we have found the right balance and a mutual understanding even with the foreign suppliers that we continue to work with. We have not seen any clear negative reaction from them to our progress in terms of making local equivalents of their products. Unfortunately, the scale of that process isn’t very great at the moment, but it will increase. Have any foreign companies refused to work with you after the introduction of the [Western] sanctions [against Russia] in 2014? Not really, although there has been some re-formatting in terms of supplies. We were of course quite anxious, we began to assess potential risks, and at times we were making some very pessimistic projections – but for now, we remain unaffected. Nevertheless, the sanctions still remain in place, and as long as they remain, a certain amount of anxiety will also remain. In practice, we have been able to achieve workable solutions, and we have not had any refusals from suppliers that would be genuinely painful for us. Can you give us any examples of import substitution for mass-produced hardware? And what is the scale of that localization process in Russia? Let me use my own company as an example. We are not just an assembly facility – we are a factory, and we make various components for our vehicles. In terms of protection, in terms of the key components of our vehicles, all of them are made at our own ZSA facilities. That does not include ceramic armor – that’s not one of our competencies for the time being. But the steel and the protected modules – these are very much part of our competency, and the number of components we now produce locally for all the families of our vehicles is about 2,500-3000. If we also take into account our subcontractors (the ones that supply the suspension systems, air pumps, electronics, and software), the progress here has been very positive. The year 2017 will be very important for us. We have several new vehicles beginning their state trials. And speaking of those vehicles, we had to buy some components for them during the early phases, but now we make our own. What is your view of the changes in recent years with regard to payments under state contracts that are part of the Defense Procurement Program (smaller upfront payments, more stringent accounting requirements for the funds received from the MoD, etc.)? It has lately become more difficult to work with state contracts. Requirements are becoming more stringent, there are more inspections and audits to verify how the money is being spent. Of course, there must be proper controls, but there is also a lot of additional bureaucracy that wastes our time. Maybe some other mechanisms could be considered that would simplify these procedures. Nevertheless, the value of our state contracts under the Defense Procurement Program remains roughly unchanged in 2017, even though we have taken a small hit in terms of the numbers of units being delivered due to some pricing changes. As for the upfront payments, we agree that the old practice of 100-per-cent upfront payments was probably overkill – but 50 per cent is not always sufficient to finance our own procurement or the procurement of our subcontractors. Are any of your products included in the new State Armament Program covering the 2015-2025 period? Yes, of course. We also took part in negotiations with the MoD procurement departments, including the one that’s the most important for us: the Main Vehicles, Armor and Tanks Directorate, so the SAP-2025 includes our input. It is no secret that your products have been used in various recent conflicts, including the conflict in Syria, where the K-63986 MRAP vehicles have been spotted. Have you received any feedback about how these vehicles perform in Syria? Do you plan any improvements or modifications that would reflect that feedback? The decision that was made back at the time on the K-63968 Taifun, to synchronize deliveries of the O-Series vehicles (i.e. the original version) with the signing of the contract has proved right. It has enabled us to deliver the vehicles and keep track of their performance in the field, rapidly making the necessary changes to these vehicles as well as the ones still in trials. We have a mobile brigade that provides maintenance services and makes changes to some of the components. Have the Airborne Troops (VDV) commissioned your company to develop the K-4386 Taifun-VDV version? What is the state of that program as of early 2017? And is an export version of that product on the cards? The vehicle is undergoing trials, drop hammer tests and weapons tests. We already have early results of the preliminary trials, which we are using to build the units that will be submitted for state trials. The VDV is working with us on that vehicle, and they seem to have a lot of interest in it. What is the situation with the development of the K-53949 armored vehicle? There is a certain overlap of characteristics between the K-53949 and the K-4386: they are similar in terms of tonnage, personnel carrying capacity, etc. But there are also major differences that are probably not very obvious if judged just by the exterior. The K-4386 is a unibody design, whereas the K-53949 is a body-on-frame design. This enables us to use different modules. In other words, that chassis can be used to build a whole range of vehicles: for example, a vehicle with a two-seater personnel compartment and a module, or a vehicle with a four-seater personnel compartment. As a result, we have essentially a separate product: a chassis that can be used to design various vehicles tailor-made for a specific customer. We are ready to supply the K-53949 chassis for customers to install their own payloads on it. Many of the design solutions in that vehicle are shared with some of our larger products, such as the K-63968, including the main gears, the axles, the reduction gearbox, and the design of the frame. It is also comparable to those larger vehicles in terms of the level of protection it offers. We began to develop the K-53949 at our own initiative, but then the MoD also showed interest, and now it is a program commissioned by the MoD. That, however, applies only to the prototypes. We are still in negotiations regarding the mass-produced vehicles, and we expect to have the result very soon. We also have some new engineering solutions for improving the suspension and the hydraulics, but the final version of the product is still being drawn up. What is the current state of the program of developing the chassis for the K-53958 Tornado family? This is a new and promising product for us, an entirely new design. This chassis can be used for a broad range of various payloads between 8 and 30 tonnes, depending on the number of axles. Also, this product offers a new level of personnel protection. There are two versions of the personnel compartment, with a single row of seats or with two rows. We are working on this design together with our customers, the Instrument Design Bureau (KBP) in Tula. Tornado is our joint initiative with KBP, but the program is under the MoD’s operational control. Nevertheless, we don’t receive MoD financing for it at the moment, and we are working as hard as we can to speed up that program. It has been reported that ZSA works on advanced chassis for the Platforma R&D program. What is the current state of that work? There has been a lot of negative emoting and unfounded accusations in the press leveled at Platforma. In our own work with the MoD, however, there are no real emotions – but there is a mutual understanding that this is the first project of its kind for both of us: for them as the customer who draws up technical requirements, and for us as the contractor. This is a unique program for the Russian machine-building industry. The customer has asked for something that has never been done before. A family of chassis has now been developed, incorporating a whole number of innovative solutions that provide an advantage over the competition. Frankly, I cannot name a single competing product in the same class, so this is a truly unique family of special hardware. Looking several years back at our early designs, it is clear that our competencies have improved significantly. We have made a lot of progress in terms of the level of technology, qualified R&D personnel and technicians, the testing methodology, software, etc. At present, this product is undergoing state trials, and we are already developing vehicles for specific customers based on that design. We are even already making deliveries, although they remain small for the time being. In other words, we are very close to securing orders from other companies for this product, for use in their own R&D programs. We continue to develop this product, and we believe it has a lot of potential. Our customers are well aware of this. There has been sustained interest from the MoD, including several branches of the armed forces, and this interest will not wane. We must stoke it up by eliminating the teething problems, which are clearly still present. Там самое интересное в последних двух абзацах, про "Платформу-О". Если вкратце, то "мы неплохо потренировались в разработке прототипов (хотя мне казалось речь шла о разработке конкретных изделий с конкретным назначением) за бабки МО и готовы продолжить тренировки уже на разработке других "конкретных решений под конкретных заказчиков". Типа это МО сломалось несите следующее с нерастраченным баблетом. Бгггг. А я думал первым будет ВРЁТИ от автокаталога. Выступления Путина не только русскоязычная аудитория читает. По Вашей логике он должен выступать на английском. Замените на русский текст и больше таких глупостей не делайте. Можно мы сами будем решать, что нам делать? При всем, искреннем, уважении к вашему блогу и вообще работе, данная публикация выглядит как троллинг. Знаний аглицкого грамотно перевести текст нет. По идее именно Вы и должны перевести тест и снабдить комментариями. Теперь не переводите принципиально. Если сильно надо, а языкам не обучен, то можно напрячь пальчик и до гугл-транслейта уж как-нибудь докликать. Офигеть сколько народу живет с ощущением, что им bmpd что-то должен. Можно, если будете только вы сами свои материалы читать. Пишете для других — делайте то, что говорят читатели. Очень интересное интервью. Хотя их фиксация на Выстреле как-то непонятна. За Платформу отдельное спасибо. Кстати, её в тэгах нет. Пишите на мове, украинцы чаще читают записи этого блога, чем британцы. Очень ухоженный цех, приятно выглядит. 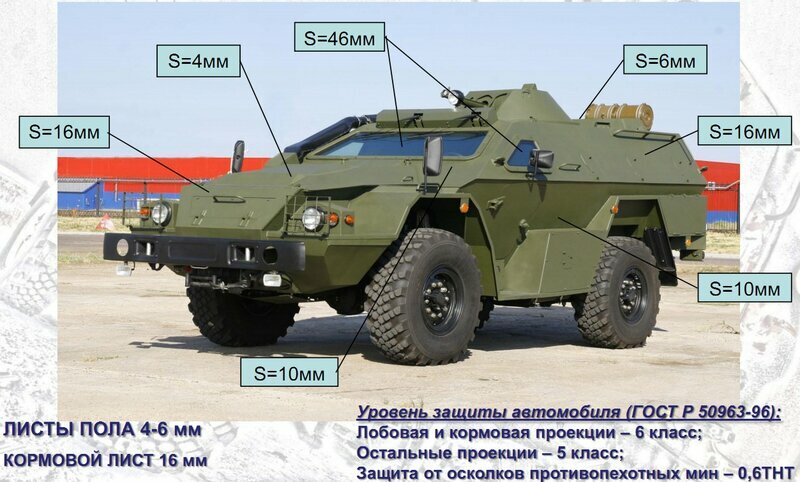 Камаз Выстрел - MRAP ? Я как-то иначе себе « mine resistant » себе представлял, не как «защита от осколков противопехотных мин». А вообще, конечно, интересно развитие Торнадовского шасси. Вариант с кабиной от Тайфуна - более логично название, чем маркировка у Уралов - Тайфун-У-Т. Кстати - на какой он стадии? Вроде обещали в 2017м показать. Странно, что в статье написано, что максимальная первозимая масса Торнадо от Камаза - 30 тонн, раньше, вроде, 25 тонн заявляли. Вот бы ещё информации по Ураловскому варианту Торнадо, особенно 8х8. Не только одно фото и хотелки, а побольше информации. Жаль только нет перевода на урду. So they spent (Government) money on vehicles that as of yet either don't meet MOD requirements, or have no clear purpose. And have no export contracts to show for it. A как обстоят дела в БАЗe?